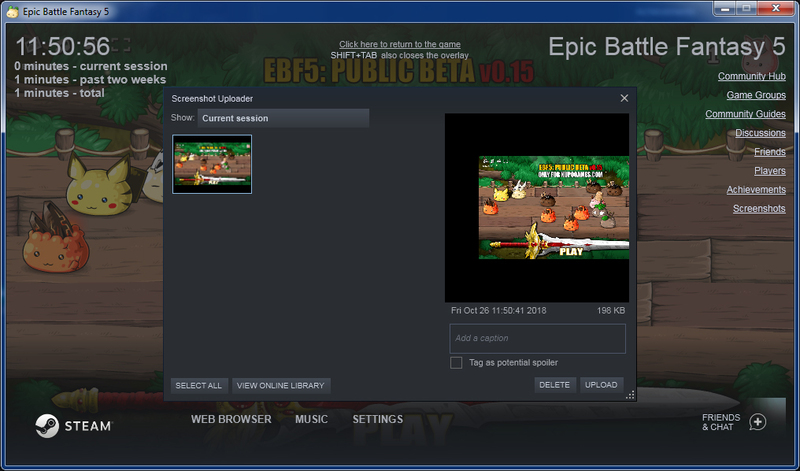 I took a break from translations and debugging to work on Steam stuff, and now EBF5 runs on Steam, and the overlay even works this time! I’ve packaged Flashplayers for all 3 operating systems in the installation folder, so if you can’t launch the .exe file, you can still play the .swf Flash version on any platform. You won’t have Steam achievements and cloud saving that way, but the game should run on Mac and Linux just as any Flash game does. It’ll be listed in the store as Windows only, but with very basic tech skills you could run it on just about anything, even a mobile device. This entry was posted in Epic Battle Fantasy 5 on October 26, 2018 by Matt Roszak. Could you do the same thing with the swf files for your other games on steam? YES!!! and why is on steam “Late 2018″ ? Now that I think about it, how many people have bought the game because they discovered it on steam/newground and not to support the developper by buying the full game? Took me a while to find the method, but you can download windows files on other platforms by messing with the download manifests. I think this worked? Or some variation of it? I hadn’t tried it in a while. Cant wait till i Be the #1 first person to play this game. Now I really want a mobile port of any of the last 3 games. I’d totally buy it a second time just for that. 99 % bisches. HA AAAAAH!! Woo! Run EBF5 on my mobile, man I am gonna be such a no lifer. BTW. Why are you still using Windows 7? Windows 7 is the best operating system since XP. 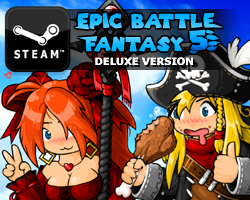 I remember release of ebf3… will you add the game to kongregate? But maybe he will sell just the expansion pack like he used to? 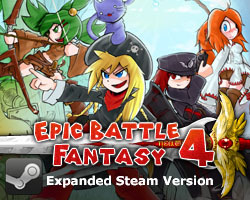 Can you add this to the PC so all of us can play and record a stream to the New EPIC BATTLE FANTASY 5 im so sxcited to play a new EBF game. So, anyone that could make a guide for how to install on mobile devices? Question: what are your plans for after EBF5?